Welcome to the Jaak Casino Casino Review where we give you the detail behind the Jaak Casino Ratings 2018. The Jaak Casino is part of the Tau Marketing Services Ltd. offering, which includes 18 such online gaming sites. This company in turn is part of Aspire Global International LTD, a Malta-based company. This suggests the company is experienced in this area, even if Jaak Casino is new to the United Kingdom. There has been a lot of excitement surrounding this gaming site, which has attracted both existing gamblers and new players to the arena. This may be because of the polished look achieved by Tau Affiliates or it may because they offer an extensive array of game play and bonuses. It is worth exploring these points further in our Jaak Casino Casino Review. If we were to look at the company behind Jaak Casino, then we should conclude that they offer a trustworthy experience. It is difficult to assess the experience with such a new site, therefore looking at the history of other sites within the same stable is a worthy activity. Before you trust your money with this new site you may want to search for customer reviews yourself, to see what experience is reported just before you play. Right now, we assume that you will have no issues with the site and judging by the well-designed interface, they are a professional outfit. There are many payment methods, including some eWallets. The average speed for withdrawal is three days, which seems about the average for casino sites even though some sites do offer instant withdrawals. The minimum withdrawal is 10 euros and the maximum withdrawal is 10k euro per month. This is therefore not the site for the professional gambler looking for a bigger turnaround of cash and so this limits our Jaak Casino ratings 2018 for experience. The return-to-player stats are not freely available to the user, which we also see as a downside in our Jaak Casino Ratings 2018 for experience for the user. This lack of transparency in all but the NetEnt games is concerning. However, it is worth noting that the site is registered with the United Kingdom Gambling Commission, which has some of the most stringent regulations in the sector. The website is a bold red with a strong playing card motif. This feels like the right mix between the traditional attitude towards a casino and a fresh modern look to the website. The navigation is clear and logical, and they make it simple to sign up. There is an FAQ section that answers most of your common questions and there is live chat on the site too. Therefore, the whole function of the site is set up well to assist the user in having the best experience on he site. 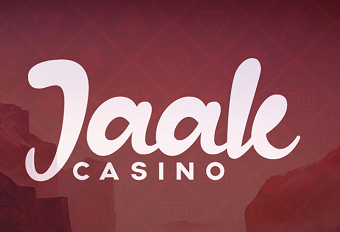 This is a site that is definitely in development, and a theme you will find throughout this Jaak Casino Casino Review is that it is worth coming back a few times before reaching your final judgement about the site. The variety and quality of games is where we hit rockier waters within our Jaak Casino Casino review. We appreciate this is a new casino and therefore at the start of its journey, however there are only around 230 different games on the site and 211 of these are slots. This is hardly the extensive casino experience you would be looking for. There are 10 live games, which is decent – but there are only 5 different table games available. If you know what you like and Jaak Casino offer this, then you will be fine. If you are looking to explore an extensive range of games, then you are going to be disappointed by this site. On the plus side, our Jaak Casino ratings 2018 reflect the influence of Microgaming and NetEnt on the site, two leading developers in gaming. Therefore, you can be assured that the quality of the games that exist are decent. Also, the number of games is growing constantly, and the number of providers they are working with too. Therefore, it may be that you find many more games on the site each time you visit. The bonuses and promotions on the site are where this casino excels, as represented in our Jaak Casino ratings 2018. Although the terms and conditions are as strict as on any online casino, with high playthrough rates, the bonuses for new players still run into the hundreds of points. The maximum bonus is 200 euros with a matched 100% deposit bonus. It is subjected to a 35x playthrough. Regular players don’t miss out either. The casino runs a comp scheme and for every 40 euros wagered you receive a comp point. Every 35 comp points results in a credit of 1 euro to your account. Using this comp money comes with wagering requirements but means there is a regular incentive to keep visiting the site. There is also every effort to offer lots of different freebies and promotions adhoc on the site. This keeps you interested enough to keep returning – and something we want to acknowledge as a positive in our Jaak Casino Casino Review. Really, we want to reserve our judgement in this Jaak Casino Casino Review, as this is a new site that is just starting out. We have been harsh in our Jaak Casino Ratings 2018, but we offer the caveat that we see attempts at improvement and growth. There are some really promising signs, with a good emphasis on bonuses and promotions and a developing portfolio of games. There may not be the variety or quality of experience just yet, there is likely to be more added regularly. Remember to keep an eye out for customer reviews to see what the general experience seems to be over time.